Often, Loftowners try to “test the market” with a higher than fair-market price when first listing their Loft. That can be a poor marketing strategy. When your agent tries to talk you out of it: Listen! Your Loft can no longer compete with other new listings fresh on the market, particularly if they are more fairly priced for your market. Buyers may think something is wrong with the Loft. They may press for more concessions, discounts or repairs, and upgrades. 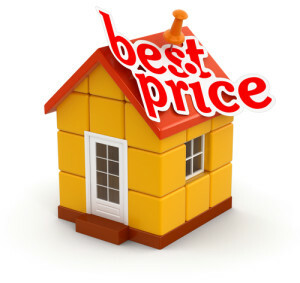 Relisting your Loft at a new price is not really a new listing, so agents may simply dismiss it. We are professionals that know the market for your Loft. Let us help you price your Loft fairly from the start. When priced correctly, your marketing strategy works for you to sell your Loft as close to your asking price as possible. Regardless of what you may believe about the value of your Loft, pricing it commiserate with five years in the past or five years into the future is to doom your Loft’s sale. Current fair market value means: The price that an interested but not desperate Loftbuyer would be willing to pay and an interested but not desperate Loftseller would accept on the open market for your area and based on comparisons to Lofts in location, size, upgrades and amenities. You cannot anticipate the market, so if prices in your area seem to be going up you can choose the top end of the “fair” range. Do not overprice your Loft, however, since market trends are volatile and can shift just enough to place your Loft out of range. Remember that lenders operate slightly behind the market, so if your Loft is too high too soon, a buyer may not be able to obtain funding to buy it. Make sure your Loft is in the best condition possible: make repairs, simple upgrades (e.g., light fixtures, faucets), and clean, clean, clean. Neutralize deep paint colors and strong faux finishes. This doesn’t mean to paint everything white, but a modern neutral such as café au lait, warm gray or deep cream sets a canvass for Loftbuyers to visualize their own furnishing in. Depersonalize your Loft: buyers want to see themselves in the Loft, not the former owners. Remove family photos, trophies, school banners, children’s artwork and other giveaways that might hinder a buyer’s vision for his new Loft. Make sure none of your personal information is visible: hide bills, letters, cards and other items with your name. Clear clutter and simplify furnishings: As we live in our space, we tend to add, but rarely take away. An extra bookshelf or side table fits our needs, so we ignore that it crowds our space a little. When buyers enter a furnished Loft, crowded spaces can make the Loft appear too small. Clutter, even decorative clutter, can obscure a Loft’s assets such as architectural detail, higher ceilings and beautiful wood trim.